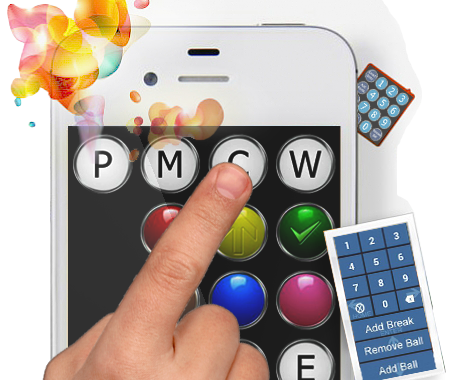 ProScore turns your Windows PC or tablet into a portable snooker & billiards scoreboard with distinct advantages, e.g. remote scoring and live scoring broadcast. This is the best-valued addition to your snooker setup. Download today! Loved by Players and Referees. For many good reasons. 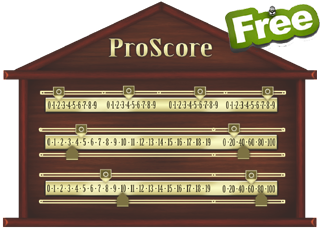 PC scoreboards used to be complicated to set up and operate but ProScore changed all these with the most user friendly features. It even adapt to your habits E.g. not only you can add point after every pot (as in a tournament), you can also add points after a break is finished (as in self-practice or casual games). Setting up a match is so simple that you don't even need to touch the keyboard, so you can focus on game play and not on technology. See video demos here. ProScore is the best investment for your snooker facility, whatever the size. Learn more or download a copy today! We understand some of you are accustomed to the good old mechanical scoreboard so ProScore now bundles with a Traditional Scoreboard software which works pretty much the same as a physical scoreboard. You use a mouse or finger (on a touch screen) to drag the sliders just like a real scoreboard, with the advantage of resetting the whole scoreboard in just one click (or touch). It's simple, handsome, convenient and never expire, so you can use it as long as you like. New version now supports Shoot-out Snooker / Billiards count-down clock / Snooker Plus !